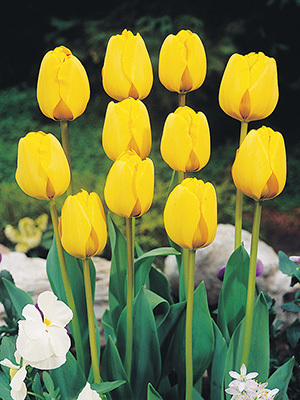 Absolutely delightful tulip with golden-yellow petals. The perfect shade for a spring flower. The strongest golden-yellow tulip available. A great cut flower. Mid season flowering, 50 cm tall.